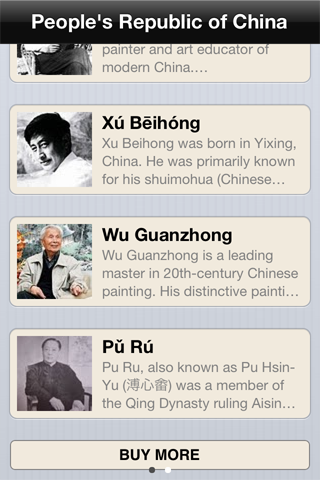 Chinese Arts features paintings of great artists from the People's Republic of China. 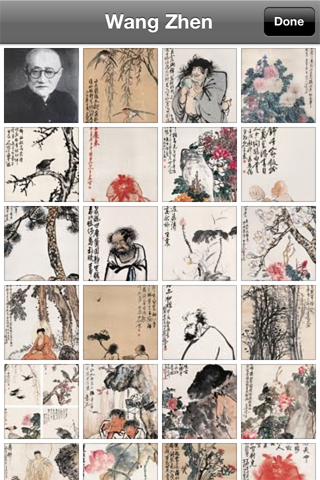 Chinese arts, also known as guó huà 国画, are often used to spread the Chinese heritage worldwide. 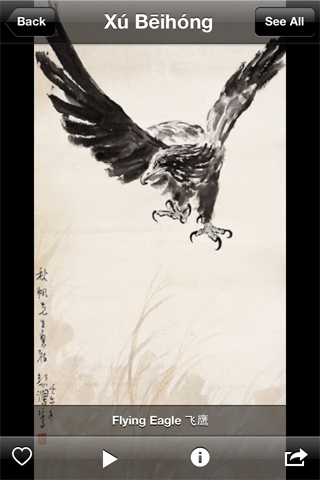 The latest version consists of great chinese artworks by 22 famous artist from the post Qing Dynasty era (A.D. 1911 - Present). Available on iPhone. 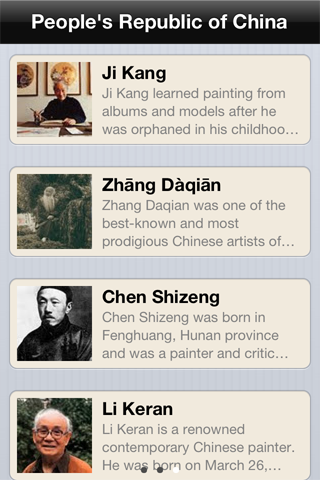 Artists from the People's Republic of China (post Qing Dynasty era), and details of their lives and works. Paintings in different resolutions and interesting description never known before! 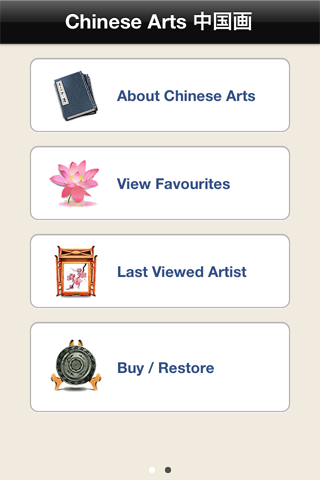 Bookmark your favorite paintings by clicking the favorite "heart" button. Revisit your last viewed artist and his/her paintings upon return. Share your favorite paintings with friends! A total of 5 artist for the free version, with the option of accessing another 17 artists' artworks at a special price of USD0.99 via in-app purchase! 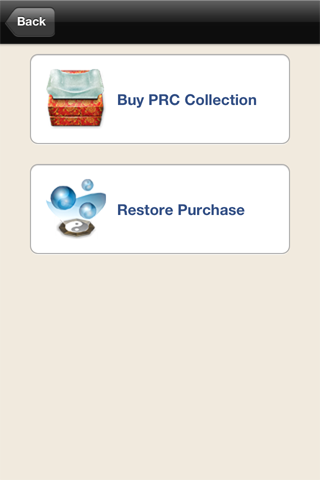 Ability to restore the in-app purchase upon changing iOS phone device. Journey with Chinese Arts as we learn more about the chinese culture through appreciation of chinese paintings of different eras. Chinese Arts will be a visually dazzling experience unlike any other!